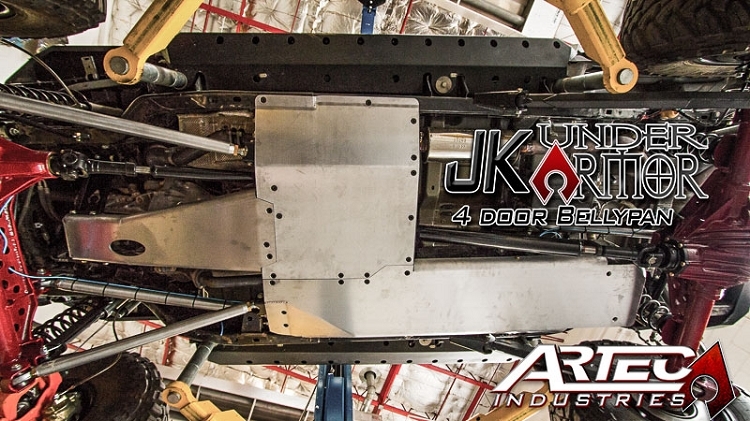 Artec Industries' NEW JK UNDER ARMOR is designed to give your Jeep JK Wrangler full protection underneath the vehicle. 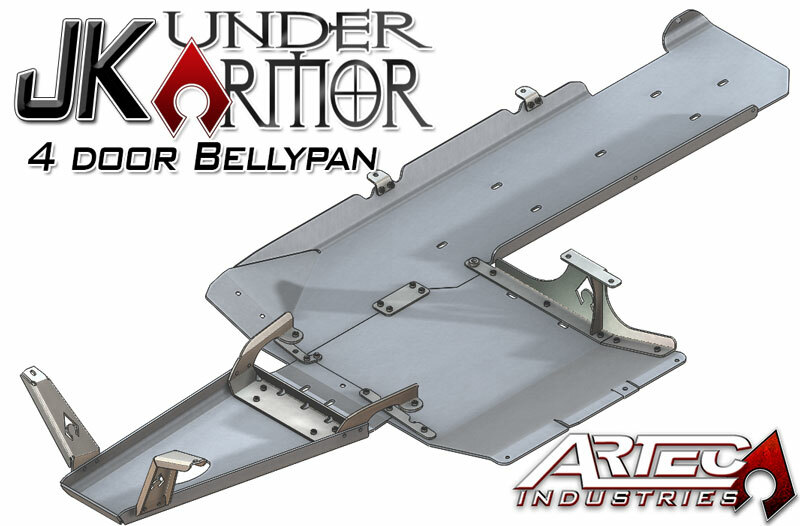 Designed using CAD files directly from the manufacturer, this belly pan skid plate ensures that you have a great fit with factory components. 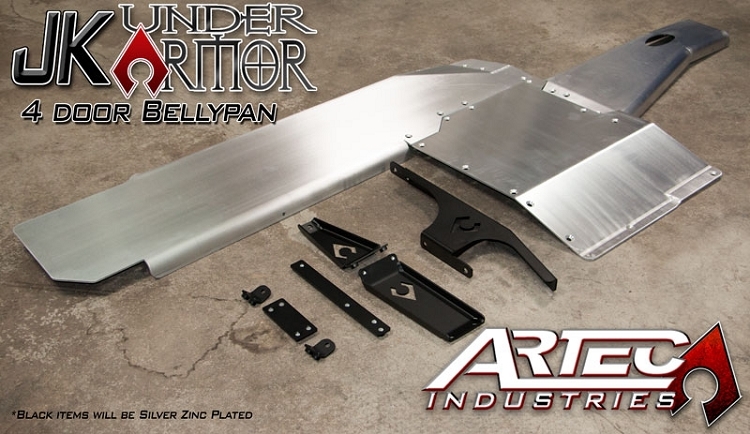 Made from 1/4" thick 6061 Aluminum and 3/16" Zinc-plated Steel, and CNC cut and formed, the Artec JK Under Armor Kit offers both a strong and lightweight solution for the heavy Jeep JK. NOTE - Loop delete needed if using long arm HD crossmember with link mounts. 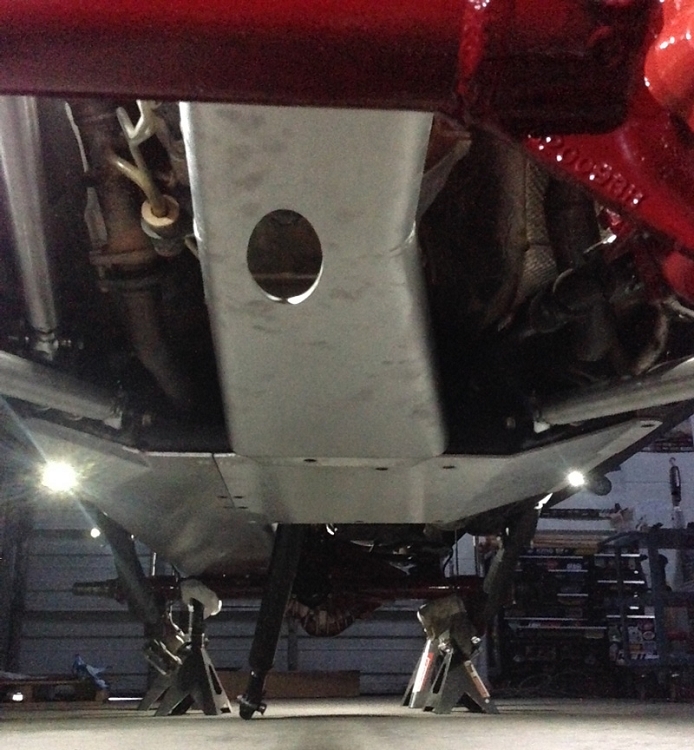 A small amount of trimming will be required on the factory gas tank skid plate. 2 Door Versions Coming Soon! All versions available currently only as complete kits. Individual skid plates will be available for purchase at a later date. *Using the factory crossmember, some holes must use factory hardware which is not countersunk. 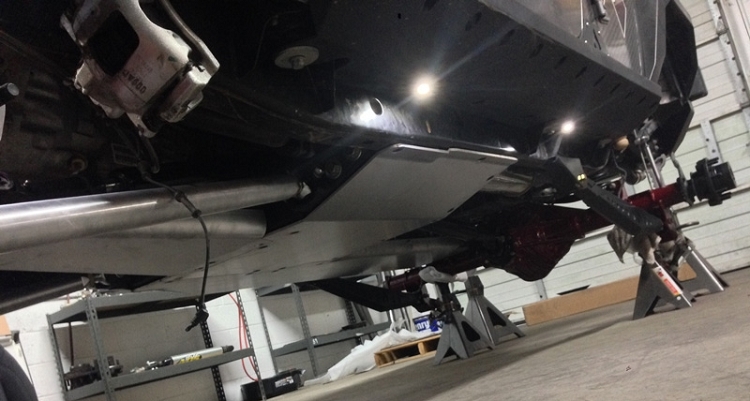 For a completely smooth bottom, use Artec HD Crossmembers. NOTE: This product requires general mechanics skills and should only be installed by someone capable of using basic tools. Artec Industries is not responsible for incorrect installation. By purchasing, the customer agrees that they are fully responsible for correct installation.